I am trying to find more information out about my grandmother. She was known as Lilian Florence Major by the time she got married in 1932. She was an orphan and brought up in an orphanage but we don’t know where this was, and nor can we trace her in the birth records or the 1911 census. I think she may not have been using the name we all knew her as, until later in her life. I have found out that she stayed at a couple of TB hospitals – one in Brighton (1922) and one in Clacton-on-Sea (1924). From looking at the website it looks like she may have been staying at the Brighton Borough Hospital which later became known as Bevendean. 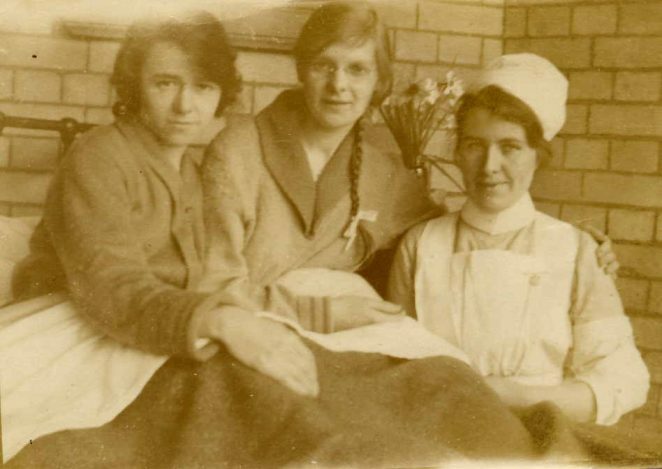 However, whilst it would be good to pinpoint where she was, what I really need is to find any records that may still be in existence for the hospital – in the slim hope that I might be able to find her name and then, perhaps, where she was admitted from. If anyone can offer any information I really would be most grateful. Hi Maralyn – my grandmother was born around 1905 which is why we had waited so patiently for the 1911 census to be published. Unfortunately there is no sign of her (we have discounted the lady that does match on the census). We have no birth certificate for her and, as an orphan, no record of her parents. We believe she took the name ‘Major’ when she left the orphanage to go into service in her late teens. I’m grateful for any leads – particularly orphanages that were privately funded as we believe her birth parents did provide for her. Thanks. Hi Maralyn – thank you so much for your research and ideas. I’ll have a look at these and see if I can trace them any further to see if they may be our lady. To be honest we’ve no idea if she was actually born in Brighton or was just sent there to recover from TB from elsewhere but I need to start somewher.! Thanks again. I’m still struggling to trace my grandmother (centre of this picture). If anyone has any leads or knows how I can access records for the TB hospitals in the area I’d be very grateful. This may be a long shot but I’m looking for a Lilian Florence Major too. My Lilian was born in Helmdon, Northamptonshire in 1897 and the last trace I have of her was that she was living in an industrial school in Coventry. After that I have no idea where she goes. She was the illegitimate daughter of Charlotte Elizabeth Major and the family were a bit of a mess so when I saw your post I wondered whether she could’ve actually ended up elsewhere. Like I said, it could be a long shot. Hi Kathrina. We were excited to see your post! We have one family memory that places Nana in Northampton in her early years. Would you be able to tell me the day and month of birth for your Lilian please? We know that Nana may have fibbed about her age when she married Granddad as she was older than him. So although she said she was born in 1905 on the marriage certificate we still think that she may have shaved a few more years off which may make 1897 a possibility. If your Lilian has the same birthday we may just have a match. Was it March by any chance? Look forward to hearing back from you, Donna. That is fantastic. My Lilian was born on the 7th March 1897. I have a copy of her birth certificate. The family were a bit of a mess. Her grandmother ran off with another man and left Lilian’s mum to bring up the children. My great grandfather was the youngest brother of Lilian’s mother. It’s always frustrated me as I traced Lilian to Coventry but after that I had no record of where she went. There are a couple of us who have researched parts of the family so I have quite a lot of information. Hi Kathrina – Bingo! My nan was born on 7th March. We are not at all surprised to find out that the year was earlier but think that this must surely be a match with so much else being right. How exciting! My mum, Lilian’s daughter, is now 80 and very much wants to know about her mum’s early life. We would like to know why she was in an orphanage in the first place and it sounds as if you may have all this early history. We can fill you in on her later life – certainly from when she got married. I would be really happy for you to e-mail me at donnaspeace@btinternet.com so that we can exchange family history. It really is brilliant to have made this connection.